In order for us to tap into our deepest states of intuition, intelligence and spiritual enlightenment, it is necessary to unlock and activate our brain’s Pineal Gland.Commonly referred to by ancient cultures and mystics as “the third eye,” our pineal gland sits in the center of our brain between our right and left hemispheres and is responsible for producing neurotransmitters such as serotonin and melatonin. After meditation, a more advanced exercise modality which works to activate the pineal gland as well as all of the body’s chakra points is that of Kundalini Yoga. 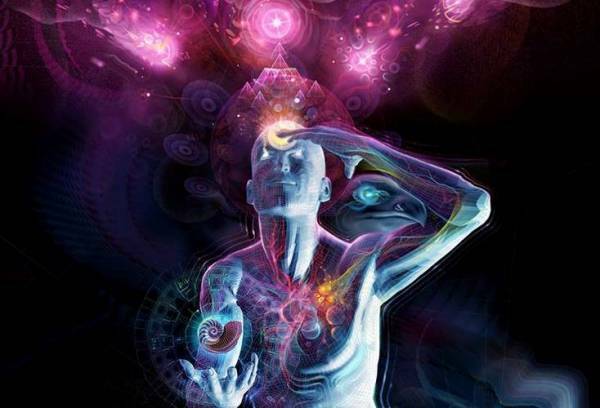 The Kundalini which rests coiled in the lowest chakra of our spine is a transducer of energy which rises farther up the spine through the practice until finally reaching the pineal gland/third eye chakra. Upon activating the Kundalini and growing its pathway to the pineal gland, one is able to merge the photon celestial energy of the sun and cosmos with that of the physical body which roots to the Earth. Being that the bones of our skeletal system are technically piezoelectric crystals at the core, the Kundalini energy rises and flows through the crystal bones of the spine, activating the 33 vertebrae points one by one until reaching the crown and pineal gland energy points at the top levels of the upper spine. Nutrition for your pineal gland In the food category, numerous options are available for accelerating and detoxifying our brain’s pineal gland. As a foundation, one should look to comprise the percentage of foods in their diet to a highest degree of organic plants and animals as possible. Eating organic adds a buffer to protect oneself from pesticides, herbicides, fungicides, GMO’s and other harmful chemical laden substances that can wreak havoc on our mental and physical health. Foods that specifically support and activate the pineal gland are tumeric (tea and raw), cacao beans, green plants and vegetables, wild harvested spring water, reishi mushroom tea, grass juices, beets, apple cider vinegar and others. Supplements one can use to help detoxify and activate the pineal gland are zeolite tinctures, bentonite clay, organic MSM powder and ormus gold. Begin activating your pineal gland today and tap into levels of your higher self that lay dormant, calling to be awakened. Written by Joshua Eagle of www.learning-mind.com About the Author Joshua Eagle is a Holistic Health Coach specializing in immune system revitalization, detoxification, weight loss, mind ascension and longevity. After a decade of studying health through various modalities he recieved formal training from the Institute for Intergrative Nutrition as well as The Body Mind Institute where he studied under various Naturopaths, Nutritionists and healers of various holistic health systems. Visit Josh at www.joshuaeagle.com. Foods that specifically support and activate the pineal gland are tumeric (tea and raw), cacao beans, green plants and vegetables, wild harvested spring water, reishi mushroom tea, grass juices, beets, apple cider vinegar and others. Supplements one can use to help detoxify and activate the pineal gland are zeolite tinctures, bentonite clay, organic MSM powder and ormus gold. Joshua Eagle is a Holistic Health Coach specializing in immune system revitalization, detoxification, weight loss, mind ascension and longevity. After a decade of studying health through various modalities he recieved formal training from the Institute for Intergrative Nutrition as well as The Body Mind Institute where he studied under various Naturopaths, Nutritionists and healers of various holistic health systems. Visit Josh at www.joshuaeagle.com.